Over the past 30 years, we are seeing an increasing number of female and male patients coming for the treatment of small- and medium-sized abdominal deformities. Many of them are presenting with rectus diastasis, no redundant folds of the skin, good skin elasticity and with or without abdominal lipodystrophy. They demand for scarless procedures that can effectively correct it. Liposuction alone will not be effective enough in many cases. The long-term evaluation of midline aponeurotic rectus plication, when properly performed, has proved its efficiency. Plastic surgeons are always looking for tools and instruments that can help us to better perform our procedures with more precision, efficacy, less trauma and faster recovery for our patients, leaving minimal scars. Since 1991, I started using endoscopic methods for the treatment of the described deformities. The efficacy of the method in patients with more than 20 years follow-up gives me the enthusiasm of going for the next level. 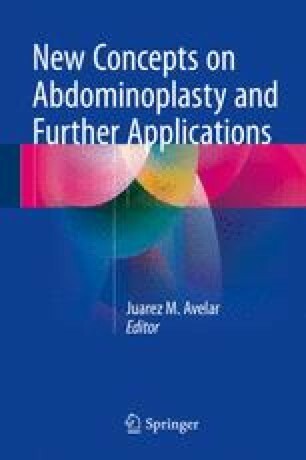 The “gold standard” of the minimal invasive video surgery, the use of Robot “da Vinci Surgery System” for the plication of the rectus diastasis. In many areas of application like urology, gynaecology, general surgery, neurosurgery and heart surgery, robot surgery has proved to have many advantages over conventional endoscopic methods due to the robot high-definition three-dimensional surgical view and amplification of images that makes it much more accurate than the 2D view provided by the conventional endoscopic methods, the superb precision and a much larger range of motion of the robot EndoWrist instruments that are comparable to the human wrist and the stability of the surgical field, camera and instruments, all controlled by the surgeon seated at the console in a comfortable position.